Blogging is one of those things that every marketing company will tell you to do if you want to get your name out there. The problem is, blogging takes time and effort, or money if outsourcing. 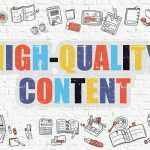 If you’re going to spend your hard earned money, or even more valuable, your time writing blog posts, you need to make sure that you’re actually writing content that people are looking for. In this video, I demonstrate precisely how to ensure your blog posts will actually help your website rather than just serve as filler content. 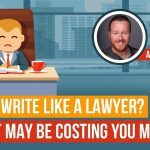 When it comes to a law firm marketing blog, often the biggest challenge besides of course actually writing the post is figuring out what you should write about. 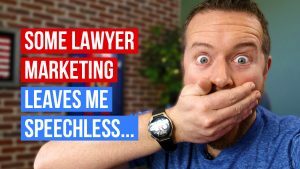 A lot of my clients come up with legal blog post ideas just off the top of their head. And while it’s never a bad thing to have additional content on your website, if you are going to invest the time in actually writing a blog post, you should make sure that you are going to get the biggest bang for your buck and most importantly, that the blog should help you make money. 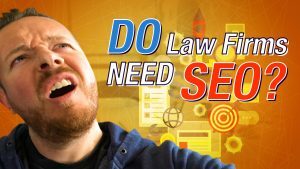 When coming up with blog post ideas for lawyers, we typically follow very simple tested method that ensures we are only writing on legal blog topics that get traffic and actually have a good chance of ranking. 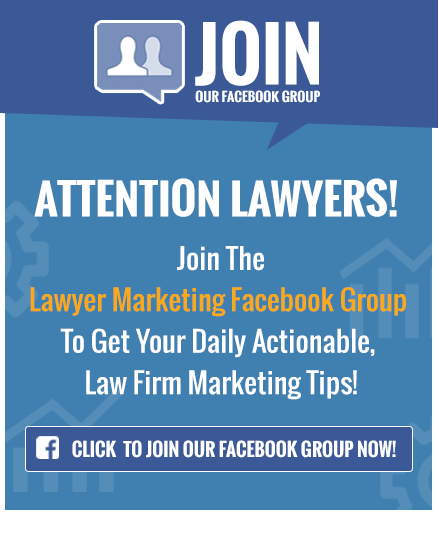 Whether your law firm’s blog has a bunch of posts or you are just starting a law firm blog, this method will help you become more productive and get the most out of the posts. I didn’t actually create this method, so I don’t claim to have invented this, however this is the method that we use. Actually, I don’t remember where I found this method, but it’s worked really well. 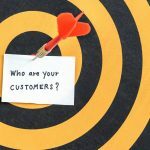 To do this effectively, you should have a subscription to SEMrush. 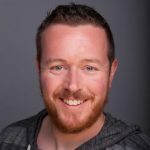 SEMrush is a really good website for SEO and discovering keywords and identifying opportunities, but for our purposes, we are going to use it to basically steal our competitor’s keywords and come up with some really good blog topics. You come to the dashboard, you are going to log in obviously. And you’re going to put your website right here. This is not my client’s website. I actually don’t know whose website this is but I am working on a client right now who is in Orange County California, and they are a family law attorney. And this is just one of the websites that I remember seeing. So put the website in there and click search. And saying this is your website. Come over to the side here, you are going to click organic research and then you’re going to click competitors. And basically what this is showing is all of the competing websites that you have keywords in common with, so these are going to be your main competitors and these are going to be the ones that are probably going after the same keyword as you are. So down here you got a list of organic competitors, there’s this farzadlaw. So first of all, position is actually where they are ranking in Google. So according to SEMrush, now keep in mind SEMrush has a tendency to be a little outdated. Sometimes they are a couple of weeks to maybe even a month or two months behind in their actual ranking data. But overall, it’s pretty accurate. So what I typically do is just depending on how many keywords there are, there is a ton of keywords here I think we got like 10,000 keywords for this one. So we can actually start eliminating some keywords. So let’s look at which keywords they are ranking on the first two pages for. So the first thing that I typically do is I sort by position. So we want to look for, let’s see how many keywords they have on page one. And page one is going to be positioned 1 through 10. So we will say less than or equal to 10. And that will get rid of everything that is not position 1 through 10. So that leaves us with…let’s see. Still quite a bit of keywords. So what we can start doing now is, let’s sort by URL, and the reason we want to sort by URL, let me put this in alphabetic order. The other thing is usually…I typically don’t want to see keywords that are ranked for the home page because we are looking for blog posts ideas, and typically the home page is going to be more of your general like Orange County divorce attorney, divorce attorney Orange County. You can see over here. Family law attorney and stuff like that. So let’s remove the home page. And all this are different internal pages here. It should be good. Okay. So now when I got this sorted by URL, I can start identifying which pages are ranking for specific keywords, and then, more importantly, I can also look and see how many searches those keywords get. So first thing let’s lock this real quick. So now what we can actually start to do is we can start to identify different pages that rank for different keywords. Now for example here is one divorce attorney fees. If you look at this URL, it’s attorneys fees and costs Orange County. So basically what this is, is a page that’s dedicated to discussing fees that go into a divorce. Now here is the interesting thing about this. Divorce attorney fees if I search for this term, I am in Florida, so if I search divorce attorney fees, now there is no local modifier for this. It is not Orange County divorce attorney fees or anything like that, but [inaudible 00:07:15] Lakeland, Florida I am getting ads for Lakeland. So if I set divorce attorney fees, and I scroll down, and I don’t see Farzad ranking for anything. He is not on the first page. However if I search in Orange County and you can use the Google AdWords, add preview and diagnosis tool to take a look at this. So we got this set for Orange County California. Divorce attorney fees and then preview. 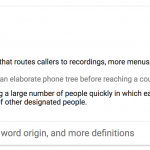 Basically what this does…Google took away the ability to actually search accurately in different location. So the only way you can do it is through this tool right now. So if you look at search results one, two, three. Third result is Farzad. So basically what is happening is Google is taking in this long tail search and even though it’s a long tail search, it doesn’t specify divorce attorney fees, but it’s actually looking at a location which is Orange County and is ranking its page in here. 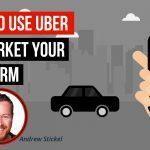 So these are really valuable because these are terms that your competition most of them are not going to be targeting. You know this is going to be a lot less competitive than Orange County divorce lawyer or divorce lawyer in Orange County. And the thing about this is, is that when you look at this, look at all these searches, this are all different things that they are ranking for, and all of these are on the first page. You can see three, three, two, three, three, four, four, seven, seven. These are all first page rankings. The sum is 1,500 searches. So that means that there are 1500 searches every month that are performed on this topic. Not necessary this specific keyword, but this actual topic. So the idea is that we are trying to identify topics rather than keywords. And this I think would be a great topic because think about that if you can write a blog post at every month is targeting the topic that we know, gets at least 1500 searches a month. And keep in mind these are just the ones that SEMrush is picking up. I mean think of how many different ways someone can search for, you know, how much it cost to get a divorce. So this right here is a great topic. So what I typically do, I will just basically highlight all these, and so I have this separated. I guess sometimes you can also just want to keep it. If you want to try to keep it organized, you can highlight like that so you can separate the whole thing. So basically what you do is you just kind of keep working your way down the list here and working through the pages. So let’s see, this one is best child custody lawyers, this one may not be quite as easy because this is more of a service page I believe. And here is one California child custody laws guy. This is one that…look at all these rankings. This page ranks for a ton of different keywords. So just with what they are showing here if this page ranks for…that’s 10,000 monthly searches that this is joined for. So basically what this shows you is that this is a really, really high search volume topic. So it’s definitely worth looking at this topic to see if maybe you can provide a better guide or better content than what they actually have on this page. So now you can go through this entire workbook, and you can identify topics that you should be able to use. So I will go through here, I am not going to show you the whole thing, I will go through here and identify few more and then I will show you how I actually check out the search results and check out the search volume and figure out if it’s a good topic actually to take on. So going through here and I have identified a few really good topics that I think would be beneficial to write blogs on. But before writing any blog I want to make sure that I do a little bit of research in. I only did a couple of topics. You know, there are a lot of keywords that this website ranks for in. The reality is that you shouldn’t just do this for one website, you should do this for a lot of different websites so on that competitor’s tab and SEMrush, you can actually look at multiple competitors. 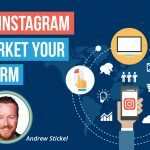 And you can really repeat this process for four or five of your top competitors, and really have a nice list of topics generated. So what I typically do is, I will make another tab and I will call it just topic ideas or something, and I will list a couple of columns here. First one is going to be topic and as you can see I have put in seven topics here. There is obviously a lot more than we can do, but just for the sake of this video I am only doing seven. So then I want to take a look at a couple of different pieces of data to see if it’s something worthy going after. So for search volume, the first thing I will typical do is I will just look and see how many keywords this website is ranking for. And search volume basically means how many times that keyword is searched in a given month. 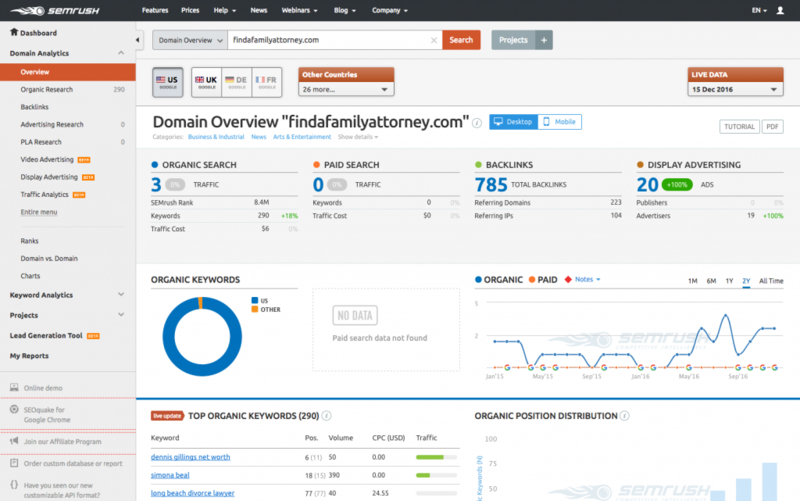 So for example this one, divorce attorney fees, according to SEMrush this term is searched about 320 times a month. So just that term alone is really good. But you know on the entire topic if we highlight these all, you may not be able to see this but at the bottom of Excel there is going to be a section that says sum. You can see right down here it says sum and basically what that does is that that adds all up all these like a cell. So the search volume for this is 1,510. Now that is just what SEMrush is actually reporting. There is actually going to be more search volume than that because think of how many different ways you can search for what it’s going to cost you to get a divorce. So if you go and search for one of these keywords and you see that the pages that are ranking really have really weak quality content, you know, really short, maybe doesn’t provide a lot of information but that’s an excellent opportunity for you to provide better content and really take over the top spots for those search terms. So what I typically do is I’ll go and I’ll look at the search terms here and just probably the most popular one, maybe the most popular one, popular two, and I will just search it and see what happens. So let’s say divorce attorney fees. So we put divorce attorney fees in there and click search and you can see I have the Mozbar installed. You can get the Mozbar just by searching Google Chrome Mozbar and you just need to create an account with Moz, and it’s free. But the cool thing about the Mozbar is that it allows you to put an overlay on the search results so you can see how authoritative different pages are. So if you scroll down you’ll see that these bars are underneath here so this shows page authority of 64 and a domain authority of 85. Domain authority and page authority are on a scale of 1 to 100 and basically the more authoritative the page and the overall domain is. So one thing you should be aware of is the domain authority of your own website. If you have a domain authority of 10 or 15 or 20 and all the pages on the first page all have domain authority of 85, 91, different things like that, then it’s probably not the best idea for you to focus on that keyword. However, when you look at what’s on this page for divorce attorney fees, you have got a domain authority of 85, 91 and then you got a 28 and the you have got 1, 49, 40 ,31, 26. So these are kind of all over the place. So basically what this tells me is that if the content is good enough then I can probably rank for this keyword. Another interesting thing about this is that if you look at the answer box up here, this is denmon.lawyer. So the first result is nolo, second is divorcesupport.about.com, third is divorcelaw, and then the fourth is denmon.lawyer. So Google is showing a snippet from the fourth ranking results above the first result as the answer box. And that’s pretty cool because this is really considered like a negative ranking and these boxes actually have pretty good click through rates. So if you can provide really good information then you can typically overtake this box. How complete is the content? How well does the content answer the question that has been searched? Most of the time you are going to find that the content is decent but you can always improve on. You can always give better information, you can always expand on the different topics and dive deeper. This is a technique known as the skyscraper technique, which basically means you take existing content and you make it better. And the reason I like this is because we already have a roadmap pretty much, we’ve already seen which content Google likes the best. So if we can take that content and then add on to, we already know what the bare minimum is because we know that if we are going to rank for these keywords, we have to at least create content that’s as good as what’s here. But if you want to beat it, then you gotta go above and beyond and you gotta write better content. Just scrolling through here looks like this is a list article. You know these articles are really kind of blowing away. And one idea that I would have probably for this specific topic in terms of divorce fees and costs is I would probably do a table that shows average costs for different services. Now I know that divorce can depend on a lot of different things and I know that you typically don’t want to get handcuffed to a certain amount, but if you are talking about content it might not be a bad idea if you can try to figure out ranges or average costs or different things like that and then actually create a nice table. Another good thing to look at is how much content the page actually has. So to do that, I typically go to the website wordcounter.net, and what you want to do is you want to highlight. You don’t want the boilerplate stuff. So just the actual content here basically. Copy that. So this is only 660 words. Let’s see how many words this is. And that will give you an idea, you typically want to…this is 860 words. So if you can aim for 1,000 words that would be great. If you can do 1,500 words, that’s even better. But that’s a big thing is trying to figure out how much content you actually need because you always want to, and this is only 586 words. So you want to make sure…I want to see how words this one actually is, I think this one is a bit longer. I will be surprised if this is 1,000 words. Okay that’s 1,100 words. So as you can see the one that’s longer is actually getting a knowledge graph or the answer box, I should say. So that’s another thing you need to consider is how much content do you need. And I would say based on the fact that this is 1,100 words, almost 1,200, I will go with a minimum of 1,500 words for this blog post. So what I am going to say is probably, I mean I typically will just put at least one or two links just so I had this top competitor there because I think that they have a pretty good website there. Now in terms of keywords, the way that I typically find keywords is I use the Google keyword planner. This is a little challenging because Google is limiting the data that you can pull from Google keyword planner. However, there are ways around the limits. 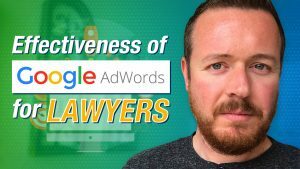 So I believe if you actually have an active campaign, and I’ve heard that you can have a campaign going in Google AdWords for like $10 and that will actually give you access to the Google keyword planner. So the way that I get the keywords is that I will go to this tab right here, I will select all the keywords that they are ranking for. And then I will go to Google keyword planner and then I will paste the keywords in. So like California this should go with California. Now the other thing I’ll do is, if you go to Google and you look at the search result, you see at the bottom there’s search results related to divorce attorney fees. So these are other searches that Google says are related to your main search. So what I would typically do as I put that in there, average cost of divorce is pretty good, uncontested divorce cost, you can probably put that in there. Sole provider of the divorce, I will get rid of that. Divorce attorney fees dischargeable, I will probably get rid of that. Uncontested divorce cost, I would probably put in there. Actually you know what, that is actually not bad to get extra content in there. Divorce attorney who pays fees. Free divorce attorney, probably not interested in that. Low-cost divorce attorney, I will say stay away from those types of keywords. We can get rid of divorce attorney in California. So what I will do is I will search these keywords, and actually you can do this for a few searches also. You can search average cost of divorce and then come down to the bottom again and see what else it says. So calculating the average cost of divorce, the average cost of divorce mediation. Average cost of uncontested divorce. Average cost of divorce attorney. These are all keywords that are really good because the thing is that Google is telling you that people already search for these keywords. So these would be good keywords to include. I’m not going to do it, but if I was actually doing this I probably would add these keywords as well. So now that we’ve got our search results back here, what I typically do is I’ll look by average search volume. And I will typically just kind of look for some of the top ones here. Now you don’t want to keyword stuff. The reality is that Google has gotten very smart. So you don’t want to just take all these keywords and just keyword stuff. So you want to try to get these keywords into the blog post as naturally as possible. If a keyword doesn’t fit don’t use it. You also want to be careful about things like keyword density, and things like that which is a little advanced for this video, but for example you don’t want the word divorce 500 times in the article. I know it’s a little challenging because you’re writing an article about divorce, but see if you can use synonyms. Like for example for attorney you can use synonyms like attorneys, lawyer and law firms. There is a lot of different ways that you can use synonyms. 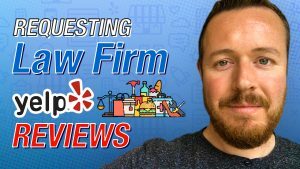 You don’t want to just have divorce attorney fees over and over and over again in your article because that’s the old way of doing SEO and it’s not a very good way to do SEO now, Goggle has gotten very smart. And the best way to do this is to use synonyms and to limit the amount of keywords that you actually use in your article. I typically just take the first couple ones that make sense. So divorce attorney fees, attorney fees California doesn’t really make sense. Average cost of divorce, and I am doing this by number of searches because I think…I don’t know. Just make sense to target the ones that get the most searches. So divorce attorney fees is going to be the first one. 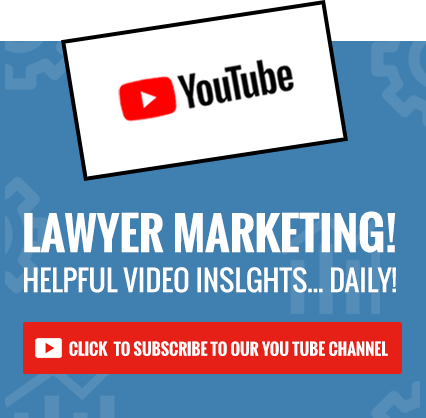 So back to our top of ideas, divorce attorney fees and then we are going to do average cost of divorce and then we will do divorce lawyer’s costs and [inaudible 00:24:41] how you can use this. So for example for a keyword like divorce lawyer’s cost, I would use a sentence like, the best divorce lawyers cost more money, or something along those lines. You can craft it however you want. Then I would probably do divorce lawyer fees, California divorce fees. So you can kind of handpick these. So those are probably the keywords that I would start with. And like I said I wouldn’t force the keywords, but I will try to use them in the blog posts. So there you have it, that’s the method that we use to write blog posts for our clients. If you have any questions, feel free to shoot me an email, and good luck with your blog posts.